OPENING with grunt and ending with a roar Massive Wagons deliver a widely diverse set of tunes on their latest release 'Welcome To The World' and although they shouldn't in theory they meld together on the album so well as it is an almost seamless release. 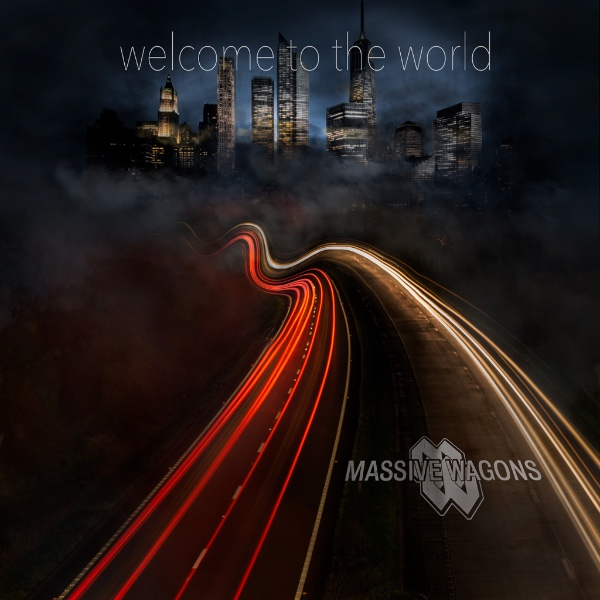 It is a hard trick to achieve, almost impossible for most, but Massive Wagons pull it off on this their third full length release. There is sense on this that they have taken the rock clichés, poured a pint or six down their throats until they are spitting fire and kicked into new life. But for a band readily billed as rock opener 'Nails' introduces a metallic edge, with a snarl and a tasty edge to the track. No sooner as you take a breath 'Tokyo' brings a satisfying radio friendly song, with lyrics that will make sure it won't get played on the radio (which they declare). That balance of heaviness and melody permeates the album, allowing Baz (vocals) the perfect foil against Adam and Carl's guitars. Guitarist Adam said: "Our sound has always drawn on many different influences from classic rock to AOR to heavy blues and prog. "Those influences are deliberately more polarised from track to track on this album. We love to be able to morph from highly accessible rock to deeper cuts.